Neither especially closely aligned with his electronic explorations nor his 1930s ragtime quintette recordings, this album finds Raymond Scott embracing mainstream modern jazz with small ensembles, but inevitably he throws his own typically subversive and humourous recording touches into the offing, manipulating and editing sound sporadically yet inventively over the course of the album. 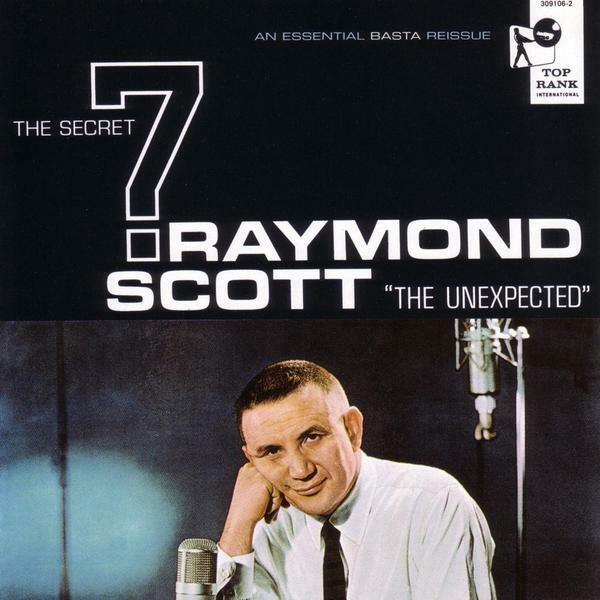 "Scott's 1960 album The Secret 7: The Unexpected featured an all-star line-up, the cream of New York's jazz cats. However, the names of the musicians were not officially revealed. But as jazz historian Nat Hentoff stated in the liner notes: "Jazz aficionados will instantly recognize the players." This album was originally released on vinyl by Top Rank in 1960, in a limited pressing. It features a number of quirky Scott originals, along with imaginative arrangements of pop standards. There are three bizarre novelty numbers: 'And the Cow Jumped Over the Moon' and 'And the Dish Ran Away With the Spoon' which feature Scott's then-wife singer Dorothy Collins on chipmunk-like sped-up vocals; and 'Quiet Entrance' a jazz-noir piece that includes a murder with sound effects."